Canada has a national farm building code that outlines construction practices and safety features that protect people, livestock and equipment from losses caused by events such as fire, heavy snow loads or high winds. The national code is adopted by the Province of Manitoba, which then attaches additional rules about its application and enforcement. A farm building that has a building area of less than 600 m2 (6,458.35 sq. ft.) is required to obtain a building permit from the Red River Planning District. 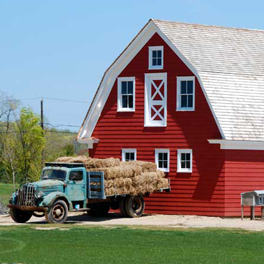 A farm building that has a building area of more than 600 m2 is subject to the farm building code and must obtain a development permit from the Red River Planning District, and a building permit through the Office of the Fire Commissioner.